The Plant Provocateur - Hot Houseplants Flowers Gifts - Silverlake Los Angeles - Introducing New Stylish Decor For Habitat + Home! Introducing New Stylish Decor For Habitat + Home! The Plant Provocateur supplying Silver Lake, Echo Park, and the areas of Atwater Village, Los Feliz, and Los Angeles. Welcome to a world where the outside comes in. A style created from the botanical inspiration of The Plant Provocateur. Immerse yourself in a botanical tapestry of form, texture, and colour. Let it take you. The Plant Provocateur is proud to introduce a line of stylish decor for the home. Introducing The Anini Collection. 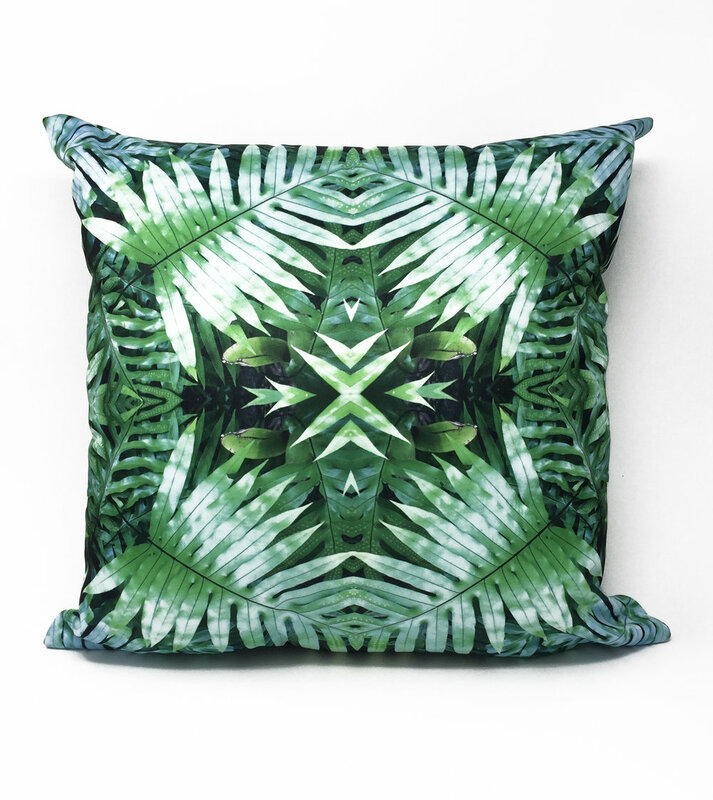 Inspired by travel, The Anini Collection is a line of throw pillows designed by The Plant Provocateur. Each pillow features a distinct design reflective of the lush tropical climes of distant destinations. Each pillow is cut, sewn, and crafted in California. Pillows are 18 X 18 inches. Cases are machine washable. Poly insert included is hand wash only. Each pillow has a concealed zipper. Pillows are currently available In-Store Only. $36. Soon to be available in the New TPP Online Shop. Coming Soon!